Wrist watches with GPS range finder capability are a hot item for the simple reason they are easy to carry around and use. 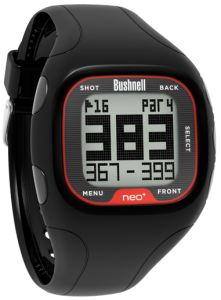 Bushnell Golf, a leader in the range finder market with laser andGPSdevices, has a good looking entry in the market with the NEO+ GolfGPSWatch. The Watch is lightweight, comfortable on the wrist and simple to operate showing front, back and center distances for 25,000 pre-loaded courses. This means there are no fees for use, either initially or annually. Bushnell says the Watch will go three rounds or 14 hours plus without recharge. And another nice feature, once the round starts there are no more buttons to push since it automatically changes hole to hole. 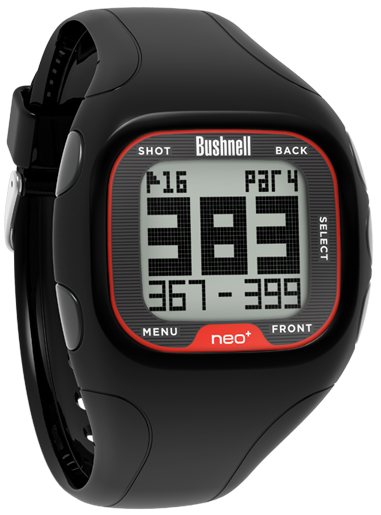 The NEO+ GolfGPSWatch is $199.95 at Bushnell retailers. I would take a look at CriticalGolf. com they do a nice job of rating prttey much all of the golf GPS units (including the uPro Go). One of the nice things they do is take a look at how much a unit will cost you over 3 years, including the cost of the unit and any course subscription fees.